Summary of Content: Co-signed by Thomas Mitchell Buffington (principal Cherokee Indian Chief), J.T. Parks, and J.W. Zevely. 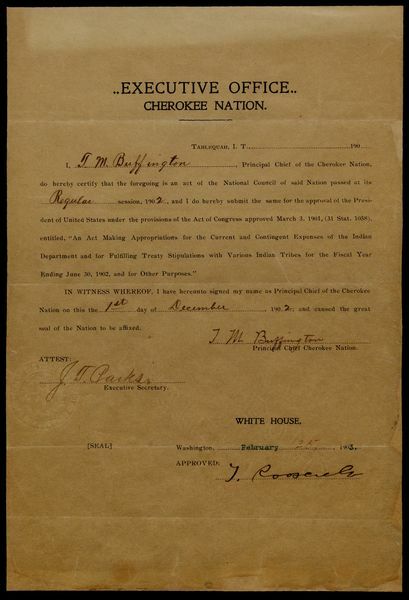 Accompanied by a copy of the Act passed by the Cherokee National Council.